Leodoro, G. & Lynn, M. (2007). The effect of server posture on the tips of Whites and Blacks. Journal of Applied Social Psychology, 7 (2), 201-209. Lynn, M. (2006). Race differences in restaurant tipping: A literature review and discussion of practical implications. Journal of Foodservice Business Research, 9(4), 99-113. Lynn, M. (2006). Geo-demographic differences in knowledge about the restaurant tipping norm. Journal of Applied Social Psychology, 36 (3), 740-750. Lynn, M. (2006). Tipping in restaurants and around the globe: An Interdisciplinary review. Chapter 31, pp. 626-643. In Morris Altman (Ed.) Handbook of Contemporary Behavioral Economics: Foundations and Developments, M.E. Sharpe Publishers. Lynn, M. (2005). Increasing servers’ tips: What managers can do and why they should do it. Journal of Foodservice Business Research, 8 (4), 89-98. Lynn, M. (2004). Black-White differences in tipping various service providers. Journal of Applied Social Psychology, 34 (11), 2261-2271. Lynn, M. (2004). Restaurant tips and service quality: A commentary on Bodvarsson, Luksetich and McDermott (2003). Applied Economics Letters, 11, 975-978. Lynn, M. (2004). Ethnic differences in tipping: A matter of familiarity with tipping norms. Cornell Hotel and Restaurant Administration Quarterly,45 (1), 12-22. Lynn, M. & Lynn, A. (2004). National values and tipping customs: A replication and extension. Journal of Hospitality and Tourism Research, 28, 356-364. Conlin, M., Lynn, M. & O’Donoghue, T. (2003). The norm of restaurant tipping. Journal of Economic Behavior and Organization, 52, 297-321. Lynn, M. (2003). Tip levels and service: An update, extension and reconciliation. Cornell Hotel and Restaurant Administration Quarterly, 42, 139-148. Lynn, M. (2003). Restaurant tips and service quality: A weak relationship or just weak measurement? International Journal of Hospitality Management, 22, 321-325. Lynn, M. & Sturman, M. (2003). It’s simpler than it seems: An alternative explanation for the magnitude effect in tipping. International Journal of Hospitality Management, 22, 103-110. Lynn, M. (2002). Turnover’s relationships with sales, tips and service across restaurants in a chain. International Journal of Hospitality Management, 21, 443-447. Strohmetz, D., Rind, B., Fisher, R. & Lynn, M. (2002). Sweetening the til: The use of candy to increase restaurant tipping. Journal of Applied Social Psychology, 32, 300-309. Lynn, M. (2001). Restaurant tipping and service quality: A tenuous relationship. Cornell Hotel and Restaurant Administration Quarterly, 42, 14-20. [A managerial version of Lynn & McCall, 2000]. Lynn, M. & Gregor, R. (2001). Tipping and service: The case of hotel bellmen. International Journal of Hospitality Management, 20, 299-303. Lynn, M. (2000). National character and tipping customs: The needs for achievement, affiliation and power as predictors of the prevalence of tipping. International Journal of Hospitality Management, 19, 205-210. Lynn, M. (2000). The relationship between tipping and service quality: A comment on Bodvarsson and Gibson's article. Social Science Journal, 37, 131-135. Lynn, M. (2000). National personality and tipping customs. Personality and Individual Differences, 28, 395-404. Lynn, M. & McCall, M. (2000). Gratitude and gratuity: A meta-analysis of research on the service-tipping relationship. Journal of Socio-Economics, 29, 203-214. Lynn, M., Le, J. & Sherwyn, D. (1998). Reach out and touch your customer. Cornell Hotel and Restaurant Administration Quarterly, 39, 60-65. Lynn, M. (1997). Tipping customs and status seeking: A cross-country study. International Journal of Hospitality Management,16, 221-224. Lynn, M. & Graves, J. (1996). 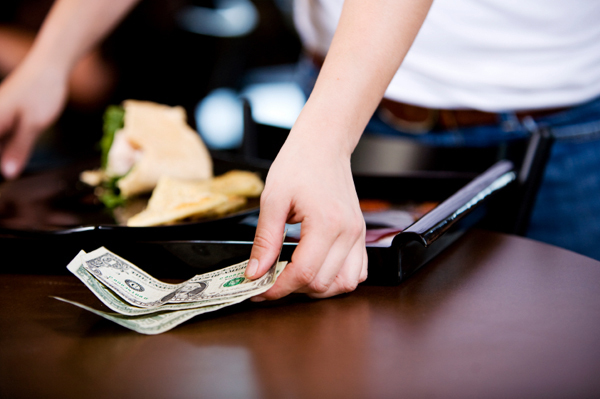 Restaurant tipping: An incentive/reward for service? Hospitality Research Journal, 20, 1-14. Lynn, M. (1994). Neuroticism and the prevalence of tipping: A cross-country study. Personality and Individual Differences, 17, 137-138. Lynn, M., Zinkhan, G. & Harris, J. (1993). Consumer tipping: A cross-country study. Journal of Consumer Research, 20, 478-488. Lynn, M. & Bond, C.F. (1992). Conceptual meaning and spuriousness in ratio correlations: The case of restaurant tipping. Journal of Applied Social Psychology, 22, 327-341. Lynn, M. & Grassman, A. (1990). Restaurant tipping: An examination of three "rational" explanations. Journal of Economic Psychology, 11, 169-181. Lynn, M. (1988). The effects of alcohol consumption on restaurant tipping. Personality and Social Psychology Bulletin, 14, 87-91. Lynn, M. & Latane, B. (1984). The psychology of restaurant tipping. Journal of Applied Social Psychology, 14, 551 563.
ouble click here to edit this text.